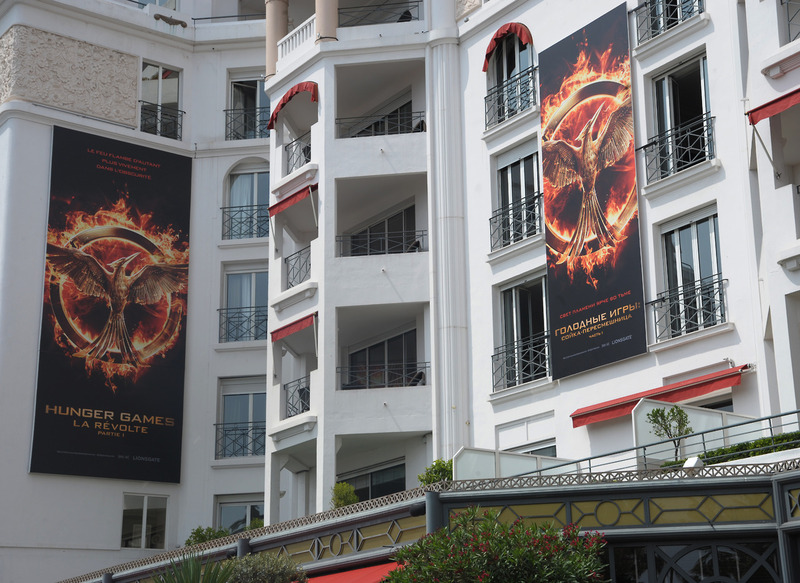 Lionsgate are gearing up to promote Mockingjay Part 1 to international distributors at the 2014 Cannes Film Festival. 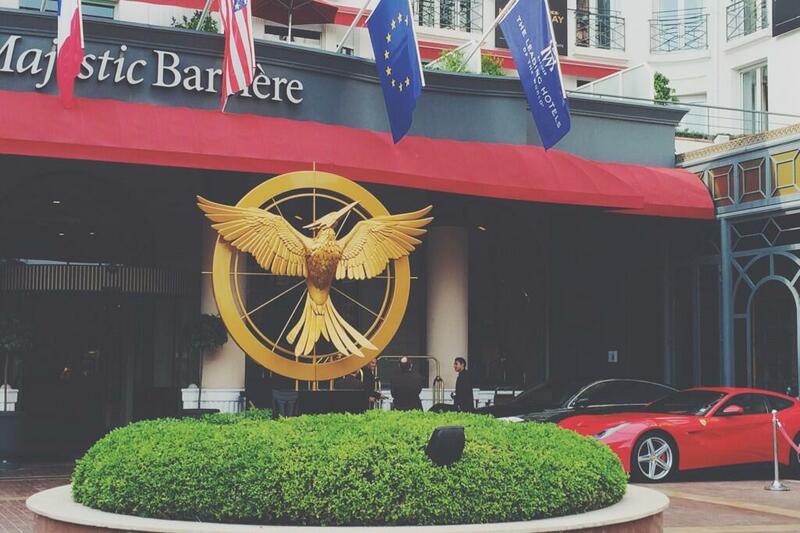 A giant Mockingjay statue and lots of posters have already been spotted at the Hotel Majestic Barriere in Cannes; very similar to the presentation for Catching Fire at the same location last year. THR recently interviewed Lionsgate co-chairmen Rob Friedman and Patrick Wachsberger, and included a question about their plans for Mockingjay at Cannes. 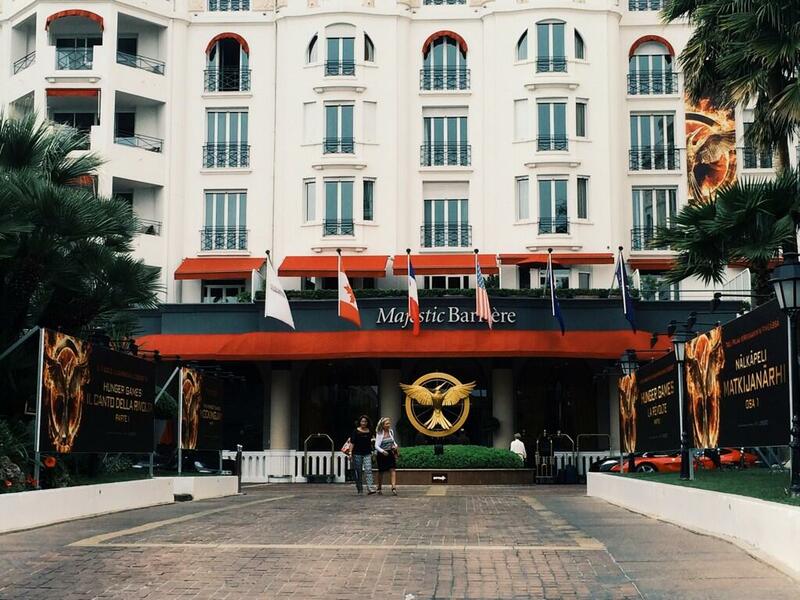 For the second year in a row, you are planning to host a Hunger Games bash at Cannes. Why incur the big expense when Mockingjay: Part 1 isn't actually playing at the festival? FRIEDMAN: The good news is, everyone is in Europe already. We're a worldwide company, and it's a big opportunity for our international distributors to actually hear what the worldwide plans are for the film, which opens in November. Cannes is the best publicity opportunity from an international penetration perspective. Sounds exciting! But remember, no trailer will debut at the festival. 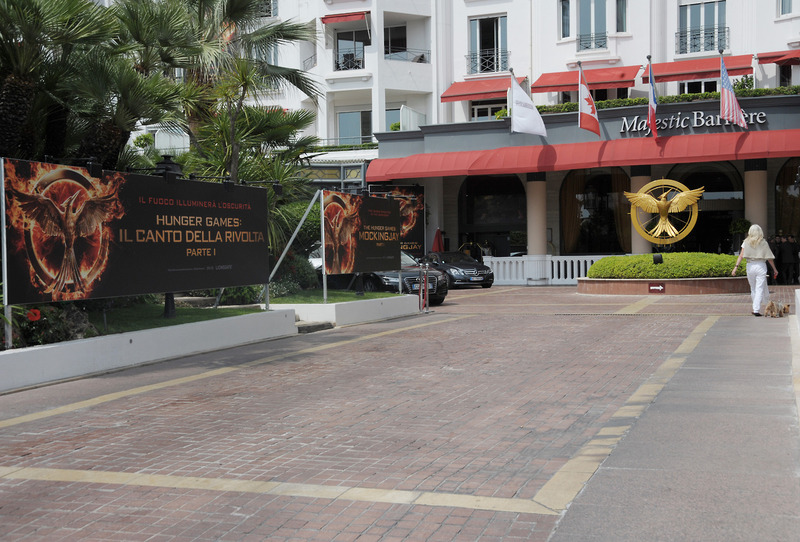 The 2014 Cannes Film Festival runs from May 14th to the 25th. Thanks to @claflirwin and mockingjayupdates for the images.